NSPA awarded today a contract to Belgium-based FN Herstal, one of the world’s leading designers and manufacturers of small caliber weapons. This is for the Agency a major contract to produce FN SCAR assault rifles and FN MINIMI machine guns as new standard issue weapons for the Portuguese Army's Sistemas de Combate do Soldado (Dismounted Soldier System) program. 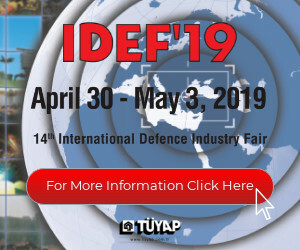 SMi Reports: Speaker Interview Released with Rafael Advanced Defense Systems Ltd in the run-up to Future Soldier Technology 2019 As the only conference exclusively focused on Future Soldier Programmes around the world, Future Soldier Technology returns to London on 12-13th March 2019 and this year will also include a pre-conference focus day on Dismounted Soldier Situational Awareness (DSA) on 11th March 2019. 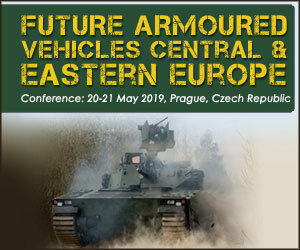 SMi Group are delighted to announce that attendees of the 5th annual Future Soldier Technology conference and focus day, taking place in London on the 11th, 12th and 13th March, will get the chance to meet, network with and hear exclusive updates from leading solution providers, delivering the next generation of infantry equipment and systems. Why Did Belgium Suspend Arms Sales to Saudi Arabia? Human right groups have been protesting against the sale of arms to Saudi Arabia, citing the Gulf kingdom’s involvement in the conflict in Yemen. The Spanish Army Aviation (FAMET – Fuerzas Aeromóviles del Ejército de Tierra) and the German Armed Forces (Bundeswehr) which have been involved in different UN-peacekeeping missions and are currently deployed in Mali with Tiger helicopters, are increasing their capabilities with Thales’s rockets to meet their ambitions. 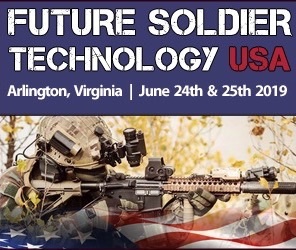 SMi Reports: A new brochure has been released for SMi’s 4th annual Future Soldier Technology conference and focus day A new brochure has been released for the conference and focus day on Future Soldier Technology, taking place in London, United Kingdom on the 12th, 13th and 14th March 2018. 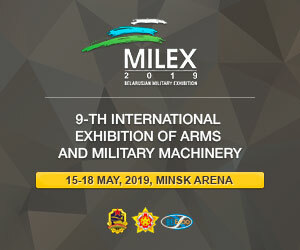 Since the last design, event organisers SMi Group are delighted to announce that Glenair have confirmed their participation as Gold Sponsor and there have also been six additional sponsors sign up: 3M, BAE Systems, Domo Tactical Communications, Microflown AVISA, Source Virtus Soldier System and UltraLYNX. DONAUWÖRTH, Germany --- Airbus Helicopters has recently completed a ballistic development test of an HForce weapon system on a H145M on Pápa Airbase in Hungary. NEW DELHI --- The Indian Army has issued a global request for information (RFI) regarding a potential procurement of some 200,000 close-quarter battle carbines in 5.56mm caliber. The order is expected to eventually grow to 500,000 in order to equip internal security forces as well. VILNIUS — Ground forces of the Lithuanian army have received a batch of UK-made AXMC sniper rifles for the first time, the Lithuanian Ministry of Defense's press service said on Thursday. "The sniper rifles, purchased from the UK manufacturer, Accuracy International, for 1.3 million euros ($1. 44 million) were delivered to Lithuania within several days, they will be distributed to battalions of ground forces and military training centers of the Lithuanian army before the end of the year," the press service said in a statement.